In a perspective piece in the New England Journal of Medicine, CP3 Director Walid Gellad and HPI Director Everette James describe the controversy surrounding the 340B Drug Pricing Program. A recent CMS rule will reduce Medicare Part B payments to hospital outpatient departments for prescription drugs in the the 340B Drug Pricing Program. Some argue that hospitals capitalize on the difference between their purchases of discounted drugs and reimbursement at full price by an insurer. 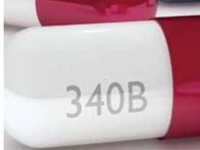 Others contend that the 340B program enables hospitals to provide more care for vulnerable patients. Gellad and James note that impact of the new policy depends largely how providers and insurers respond to it, especially given the trend for US health care policies to grow and complicate as stakeholders' roles evolve.